This is yet another hit for Facebook. Unhappy, Elon Musk simply eliminated Tesla and SpaceX from the most popular social network in the world. The requests to leave Facebook began to accumulate this week, after it was revealed that the data of approximately 50 million users was compiled by the political analysis firm Cambridge Analytica. And this Friday, Musk joined the negative reaction by removing the official profiles of Tesla and SpaceX on that platform. It all came down to an exchange of Twitter messages using the hashtag #DeleteFacebook asking people to delete their Facebook accounts because of the security breach and unauthorized use of personal date. Friday morning when Musk responded to a widely shared tweet that asked people to remove their Facebook accounts people asked him to remove Tesla's accounts from Facebook too. "What is Facebook," replied Musk. Then, another user asked him to remove SpaceX from the platform and Musk replied that he "did not know" that there was a Facebook page for his company. When asked if he would also remove Tesla's profile, Musk replied: "Definitely, looks lame anyway." By midday of this Friday, Eastern time, the pages disappeared. The profiles accumulated more than 2 million 'likes' on each one. "I do not use [Facebook] and I've never used it, so I do not think it's some kind of martyr or that my companies are getting a big hit," Musk wrote on Twitter moments later. "Also, we do not have advertising or pay marketing, so ... we do not care," he added. 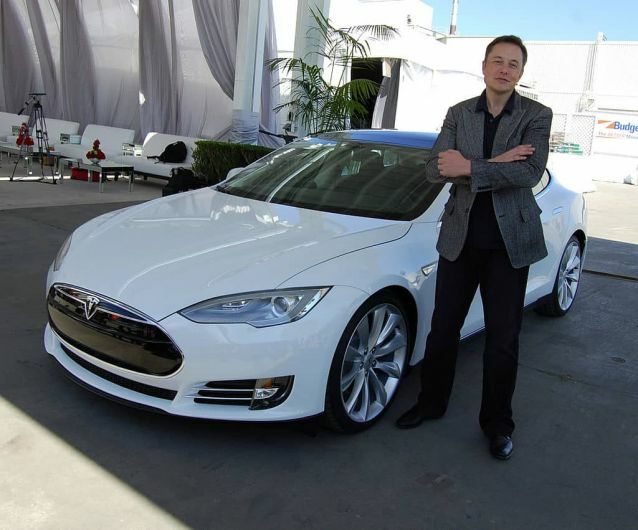 Facebook CEO Mark Zuckerberg and Tesla SEO have had their disagreements in the past. Last year, Zuckerberg hinted that Musk was exaggerating the possible dangers of artificial intelligence. Musk responded by tweeting that Zuckerberg's understanding "on the subject is limited". Do you think other car companies will also leave Facebook? What about you? Please let us know your thoughts in the comments section below. Used from Materials from CNN. Image source: Elon Musk Wikipedia. So what about customers data that is collected on Tesla cars? Will Tesla remove those too? Or those are voluntarily gathered?